Custom Monopoly Games for all occasions. Each game come with standard plastic pieces. You can upgrade to pewter pieces. Phillyopoly was created as a city wide fundraiser with a % of the proceeds going to CHOP. We are experts in the custom monopoly and custom property trading game industry. We will help you every step of the way from concept to completion of your games. With the absolute LOWEST min. order in the US at just one single custom game, we also have the capability to produce 50,000+ games. The process for 1-50 is a little different than 250 + so please contact us for more information and pricing. Again we can not produce a Custom Monopoly Game, but we can create a property trading game that will more than meet your needs. 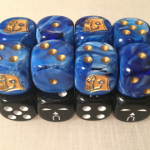 Since every game calls for something a little different we do not offer pricing on the site, so please contact us to discuss your project further. We like to work with each client on an individual basis so we can create the perfect game for you. We have full templates available for all aspects of the game. No problem! If you do not have a graphic artist or marketing department, our team at 521 Promo will work with you. We will ensure you have a beautiful custom opoly game to present to your customers.